Everybody wants an HVAC system that keeps them comfortable at all times of year. When it’s scorching hot outside, your AC should keep you cool. When it’s icy cold, your furnace or heat pump should keep you toasty. Seems obvious, right? Well, it is obvious. Unfortunately, many HVAC systems fail to achieve these very basic objectives. Lots of things can impede HVAC performance, but equipment size is one of most common and most crippling problems of all. Simply put, your HVAC system needs to be the right size for your home. Otherwise, it won’t keep you comfortable. And performing a Manual J load calculation is the only way to determine which size is the right size. What is the ACCA Manual J load calculation? Manual J is a standard. More specifically, it’s a standard set by the Air Conditioning Contractors of America (ACCA) for determining the most optimal size for an air conditioner, furnace, and/or heat pump for an enclosed space, like your home. When heating and air contractors use the ACCA’s Manual J to make sizing recommendations, they calculate how much heat an HVAC system will need to remove (summertime) or add (wintertime) to your home. To perform the load calculation, they make all sorts of measurements – everything from square footage to window sizes (and types), insulation levels, ceiling height, and more. When they’re finished, they’ll know what size HVAC system is needed to satisfy some baseline comfort objectives. “Baseline,” by the way, means an AC that can cool your home to 75 degrees in peak summer and a furnace that can heat your home to 70 degrees in peak winter. Those are the temperature defaults for Manual J. In a perfect world, an HVAC contractor or home performance professional would perform a Manual J load calculation prior to every new HVAC equipment purchase. No homeowner would end up with a system that’s too large or too small for their home. ACs and furnaces would always keep people comfortable. And they’d operate efficiently under all types of conditions. …you might end up with an HVAC system that’s the wrong size. Here in the Atlanta area, the most common outcome is an air conditioner that’s too big. Or a furnace that’s too big. Or both. But wait! Isn’t it smart to get bigger HVAC equipment so that you know you’ve got the capacity to cool and heat your home under all conditions? The answer to that question is a resounding no. When an air conditioner is bigger than necessary, it cools your home very quickly. That might sound good, but it’s not. The system will turn on and off several times during the day, a scenario known as “short cycling.” That’s bad because the system needs to run for long cycles in order to remove enough humidity to keep you comfortable. Long AC runtimes = more humidity removal while also satisfying your thermostat setting. Short AC runtimes = satisfying your thermostat setting but failing to remove much humidity. You’ll wonder why you’re sweating even though the thermostat says it’s 73 degrees. Oversized furnaces cause problems, too. Whenever the thermostat setting is satisfied and the furnace cuts off, the area around each supply register might feel scorching hot while the rest of your home still feels cold. Temperatures will be very uneven throughout your home. Needless to say, undersizing an HVAC system isn’t good either. If your AC and furnace don’t have enough capacity to do their job, you’ll always feel too hot in the summer and always feel too cold in the winter. Ok, so I should just tell my HVAC contractor to perform a load calculation. Right? If only it were that simple! The reality is that most HVAC companies don’t bother with the Manual J load calculation. And many companies that claim to do load calculations don’t take the time to perform them properly. And you’ll get that 5-ton AC, which may very well be the right size. Or not. You won’t know for sure unless someone performs a load calculation for your home… or until you start wondering why your AC isn’t keeping you cool. Square footage is a metric that Manual J takes into account, but it’s far from the only one. After all, not every 2,700 square-foot home is the same! Some have 8-foot ceilings. Others have 30-foot cathedral ceilings. Some have south-facing, single-pane windows. Others have north and east-facing double pane windows with low-E coating. All of these factors impact the size of AC and furnace your home requires. Manual J accounts for all of those metrics, so you end up with the right equipment. Without a load calculation, your chances of buyer’s remorse skyrocket. At PV, we always perform a Manual J load calculation before we install new HVAC equipment in your home. In many cases, the load calculation will indicate that you need a smaller AC or furnace than the one you’re replacing. It’s a common scenario for retrofits. Any time we install an AC or furnace with less (or, perhaps more) capacity, there’s always a chance you’ll need some ductwork modifications as well. For instance, your 5-ton AC might work ok with the ducts you have today. But the 4-ton AC we suggest might work better with smaller ducts – or ducts that are routed differently. This sort of thing doesn’t always happen, but it’s possible. It all depends on the attributes of your home and your HVAC infrastructure. 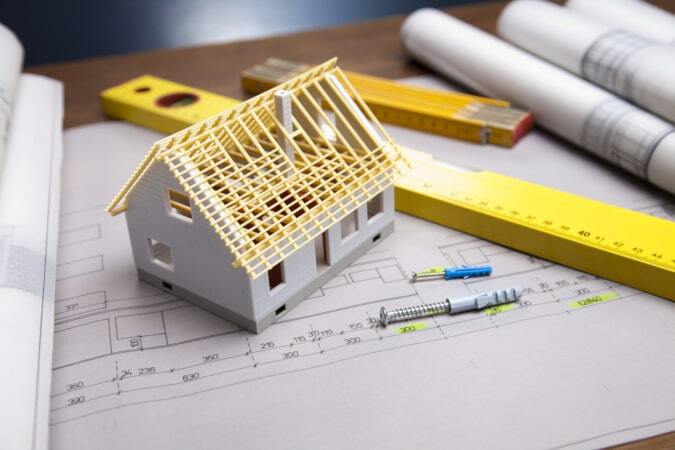 Of course, the best time to perform a load calculation is while a home is being built. That way, you’ll have the right HVAC system and supporting infrastructure in place from the very beginning! If you’re wondering how to handle HVAC during construction of your new home, the answer is to hire an experienced contractor to perform a Manual J load calculation before you select an AC and furnace. Otherwise, your builder might use some “classic” rule of thumb to pick your equipment. You’ll have a brand new house, but it might not be a comfortable new house. Who should perform a load calculation on your home? An experienced contractor. That’s who. We’ll also consider some of the hidden and little-known benefits of working with an experienced practitioner! Stay tuned.